It’s 2017, but I would totally wear these glorious shoes from 1974. 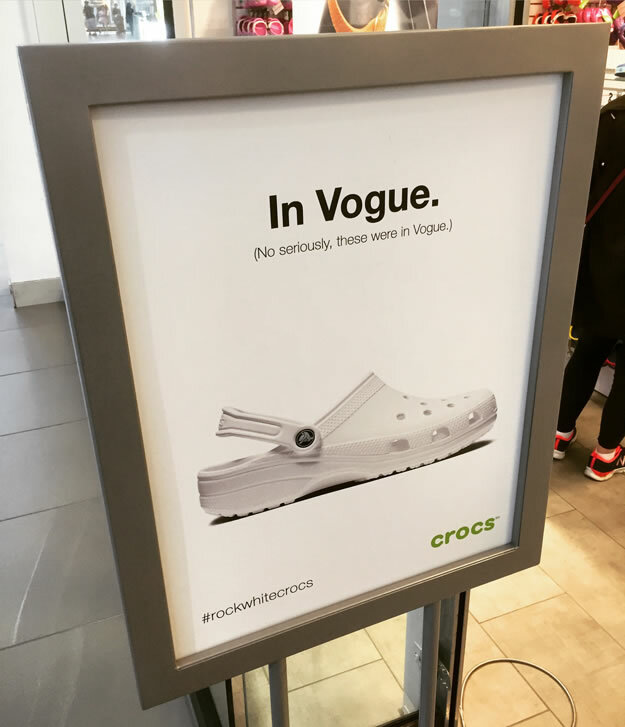 Not even gonna rip on this ad, because those are awesome shoes. Somebody please make these shoes again! 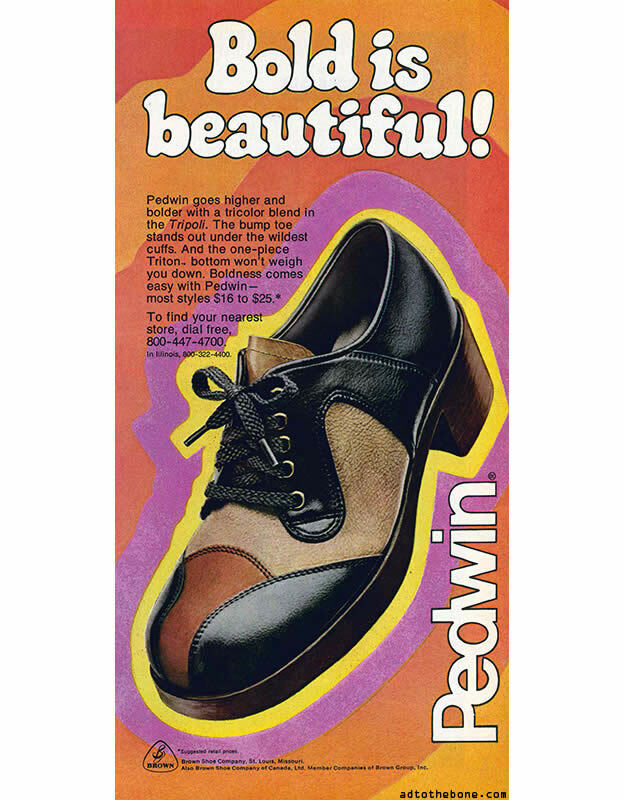 A most groovy Pedwin ad from a 1974 magazine. This entry was posted in ads of yore and tagged ad, ads, advertisements, advertising, branding, footwear, marketing, men's shoes, shoes, vintage, vintage ads, vintage advertisements, vintage advertising on October 2, 2017 by Clayton Hove.